When the sun goes down and the lights are low, what goes on at the museum? Join us for drinks, light refreshments, and a special program to find out! Mort Künstler, internationally-acclaimed artist, illustrator, and native Long Islander will speak about his artistic process when creating the meticulously researched paintings of the American Civil War, historical subjects, and illustrations. 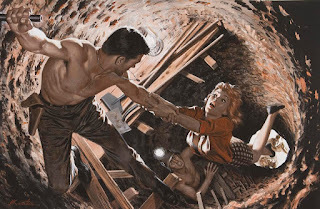 Following his presentation, Mort will lead an informative, engaging tour of the exhibition Mort Künstler: The Art of Adventure.